“Last Summer Jackie Hagan went to hospital with a mystery disease, and was told that she was going to die. Luckily she didn’t die, but she did eat loads and loads of Kit Kats because she thought it wouldn’t matter if she got fat. She also lost a leg, made friends with an old woman who looked like a threadbare tennis ball (with eyes), fell in love with a posh man called Miles, and found her Dad. 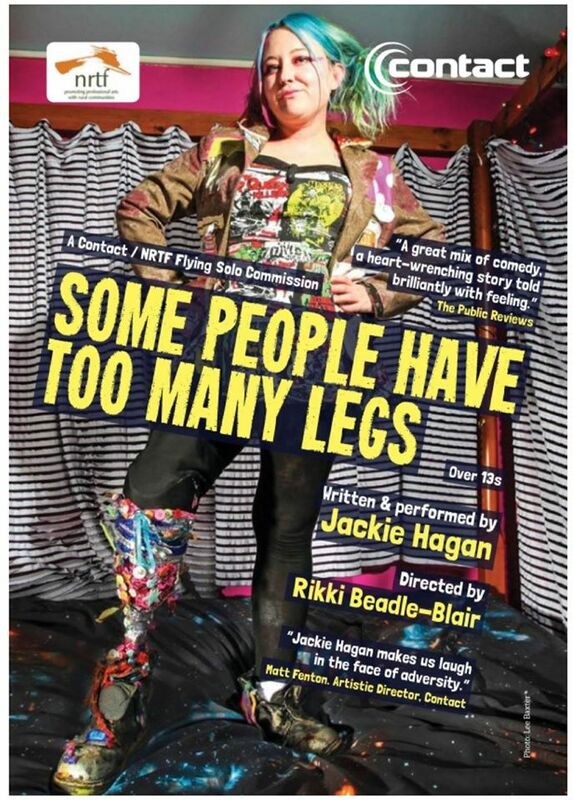 Some People Have Too Many Legs is a show about facing your fears and throwing glitter at them”. Tickets are £5 and £2 for concessions. For further information on this Night Out event or to reserve tickets, please contact ArtWorks on: 01443 303032 / 01443 420870. Bydd y perfformiadau yn cael ei cynnal yn canolfan Soar, Penygraig CF40 1JZ Pris y tocynau yw £5 a £2 ar gyfer consesiynau. Am ragor o wybodaeth am y digwyddiad Noson Allan hon, neu i archebu tocynnau, cysylltwch a ArtWorks ar: 01443 303032 / 01443 420870. Rhydyfelin Youth Theatre have devised an immersive performance around the themes of two films that they made over the last few months. 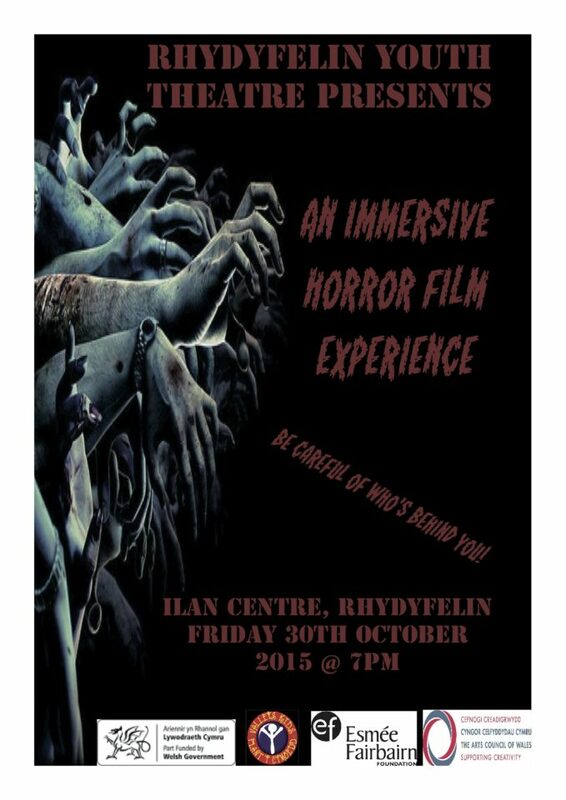 The group are performing them on Friday 30th October at 7pm during the Youth session in Ilan Centre, Rhydyfelin. All welcome to attend this free event if you fancy a little fright on the night! In a magical Kingdom far, far away lived a Prince. A Prince whose one true wish was to marry a Princess. One night, in the flash and crash of lightning, in the howl and whine of the wind there was a knock at the castle door and a girl was blown in… but surely she couldn’t be a Princess? 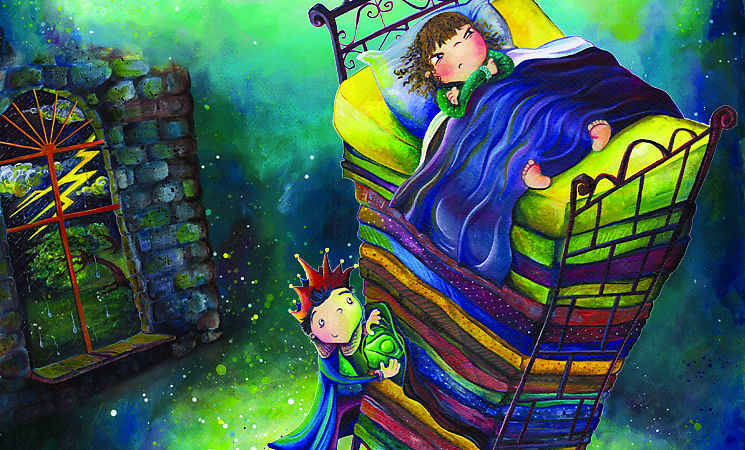 There was only way to find out…FETCH THE ROYAL PEA and hide it under the mattress! Only a real Princess would be able to feel such a tiny thing hiding there! Join Artworks and Sherman Cymru this Christmas for a deliciously mischievous re-telling of one of Hans Christian Andersen’s classic fairy tales. Filled with laughter, music and a big sprinkling of magic, this story is perfect for 3 to 6 year olds and their families. Due to a high demand this show is selling fast – Please reserve tickets in advance. Steph is 15 years old, she’s rebellious, strong and smart. Her mum is brazen and full of Cardiff charm. Simon is her teacher, sensitive, clever and Steph’s favourite. But their two worlds collide when Steph makes a serious accusation against him and their lives begin to unravel. This award winning play by Katherine Chandler explores truth, class and power in contemporary Wales. Dirty Protest first presented Parallel Lines in 2013. Back by popular demand this is the company’s first national tour. 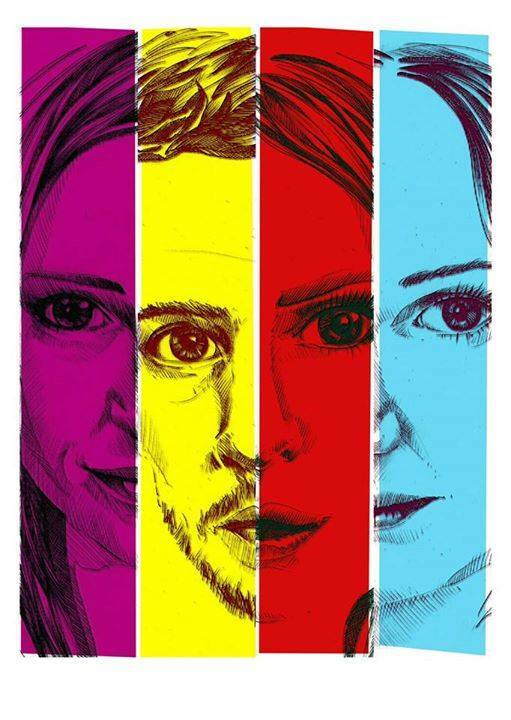 Parallel Lines is written by Katherine Chandler and directed by Catherine Paskell. It won the Wales Drama Award in 2012. The Minions and Gru are making a special appearance tomorrow at The Factory, Jenkin Street, Porth for the Valleys Cinema showing of ‘Minions’ the film!! Doors open at 4pm ready to meet the Minions and to get prepared for the film at 5pm! 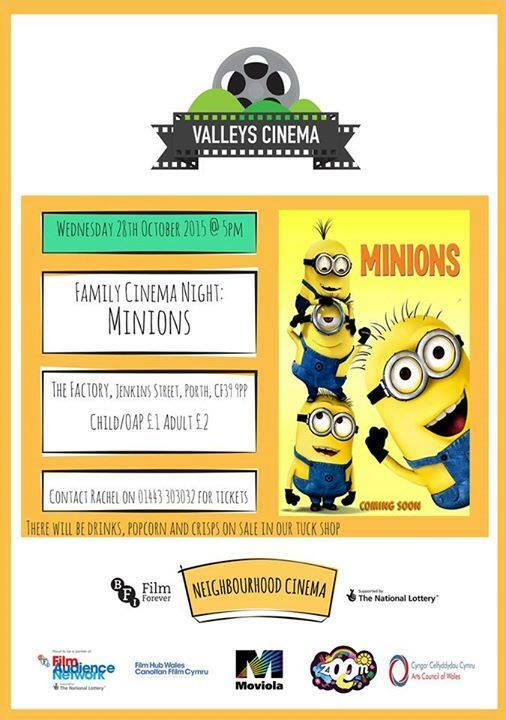 There will be a tuck shop selling popcorn, crisps, Minions sweets and drinks cartons. We also have a ‘Minions’ raffle!! A Night not to be missed for all you minion fans! 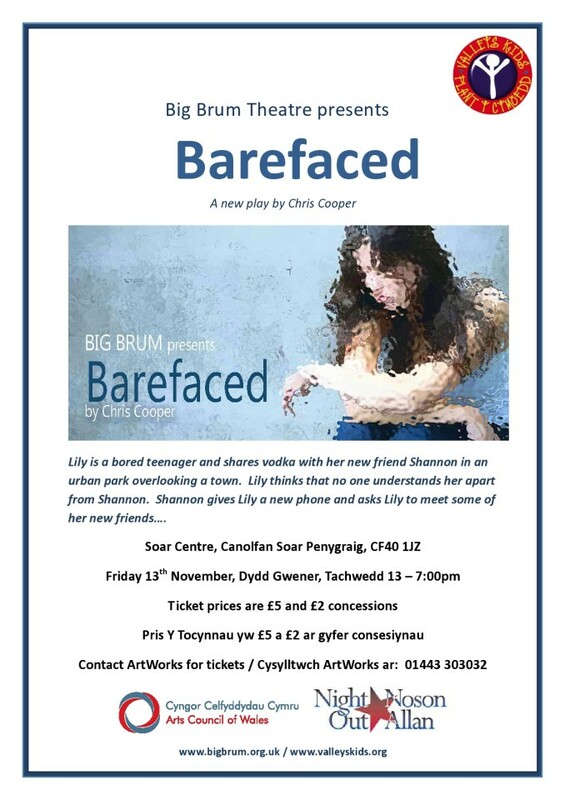 Big Brum Theatre Company, are coming to Soar this November with their fantastic new play ‘Barefaced’, written by Chris Cooper.